A new video showing Arnold Schwarzenegger behind the scenes on the set of the new Terminator film has been released. 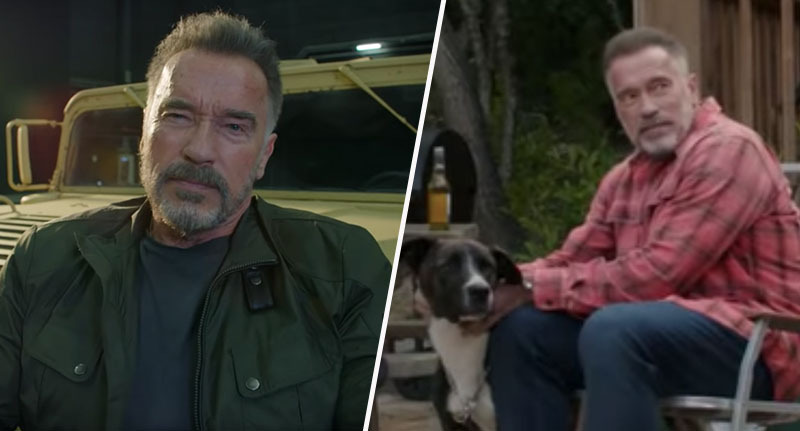 The promotional video shows Schwarzenegger and director Tim Miller speak about the studio, the crew, and the location – with the Kindergarten Cop actor calling Budapest ‘one of the nicest cities in the world’. The next movie in the Terminator franchise, which is currently untitled, was shot last year and is set for release in November 2019. Posted online by the Hungarian National Film Fund, Magyar Nemzeti Filmalap, the video includes interviews with cast and crew members, as well as showing some behind the scenes shots. As reported by Variety, the video also features Hollywood producer Andy Vajna, who died in Hungary on Sunday (January 20) after a long illness. Vajna served as the government commissioner for the film industry in Hungary. Vajna had close links to the Terminator films; he founded the indie powerhouse Carolco, which produced Terminator 2: Judgment Day, as well as the first three Rambo films. Schwarzenegger paid tribute to the Hollywood legend earlier this week, calling him a ‘revolutionary force in Hollywood’ and a ‘dear friend’. Andy Vajna was a dear friend and a revolutionary force in Hollywood. He proved that you don’t need studios to make huge movies like Terminator 2 or Total Recall. He had a huge heart, and he was one of the most generous guys around. I’ll miss him. My thoughts are with his family. In the untitled Terminator movie, Schwarzenegger will reprise the role of the iconic cyborg, while Linda Hamilton returns as Sarah Connor. Hamilton can also be seen in character throughout the video; dressed in what looks like combat gear, it seems the new film will not be short of action. Although this is the first time we’ve seen behind the scenes footage of the film, Schwarzenegger gave us a slight glimpse last year, when he tweeted a picture of him and Hamilton on the set of the movie for her birthday. The movie marks the first time that Schwarzenegger, Hamilton, and producer James Cameron have worked together on the franchise since 1991’s Terminator 2: Judgment Day. Cameron, who wrote and produced Titanic and Avatar, has said that the film will be a direct sequel to the second movie of the franchise. The untitled Terminator film will be released by Paramount on November 1.